et’s be real: There’s nothing better than a tasty spinach and feta cheese omelete, but as Rockettes, we’re always on-the-go and a lip-smacking, protein-packed smoothie is a great way to give us an energizing boost and a quick nutrition fix. Literally, it’s like having a slice of apple pie in a glass! Chock-full of protein (greek yogurt, almond butter and rolled oats! ), this eat-with-a-spoon thick and creamy goodness will help keep your mid-day munchies at bay. 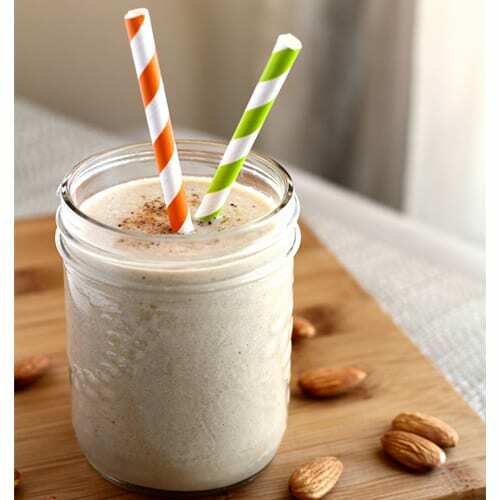 You’ll go bananas for this vegan-friendly smoothie that has a serious dose of potassium, which helps sustain your blood sugar. Try adding dates to give this meal-in-a-glass some added natural sweetness. 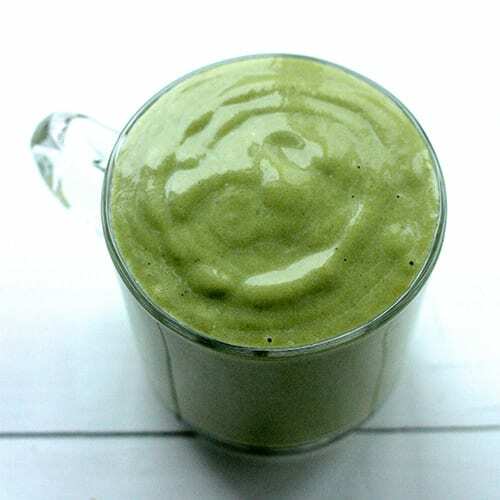 Of course avocados are full of healthy monounsaturated fats and a good source of fiber, but add matcha (a grassy, sweet form of finely milled green tea powder) to the mix, and this rich, sweet and creamy smoothie is fit for refueling perfection. 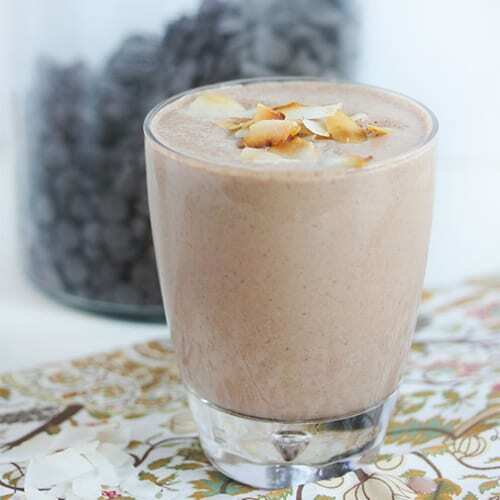 Chocolate + coconut? We’re in! Thanks to the nut butter, chia seeds and banana, this cold and creamy treat delivers a jolt of protein that’s sure to satisfy your hunger pangs. Need to cool down after a tough workout? Lap up this immunity-boosting and protein-packed smoothie that makes you feel like you’ve been transported to a tropical island. Umbrella straws not included. 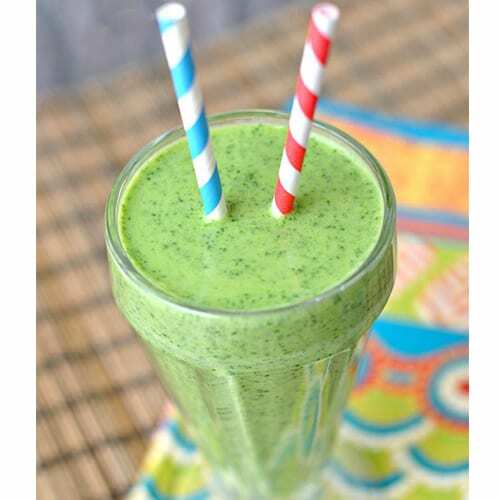 Start your day off right by slurping down this vitamin-packed powerhouse of a smoothie (the spinach alone is a great source of vitamins A, C, K, fiber, magnesium, potassium and calcium!). 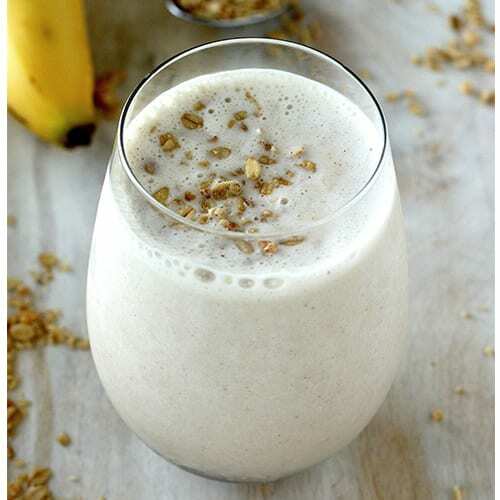 The banana and peaches sweeten this frothy treat, making it a refreshing choice for breakfast. 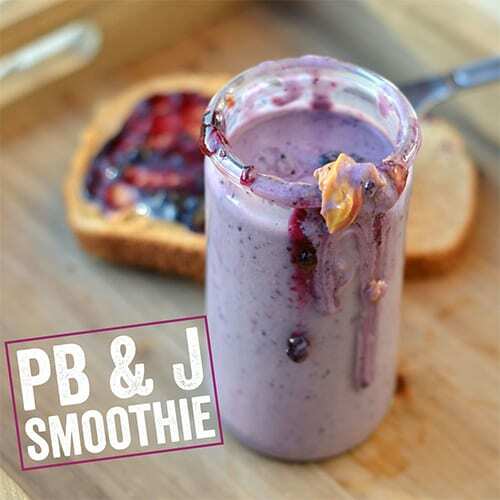 It’s peanut-butter-jelly time! Keeping it simple and classic, this dessert-like treat tastes just like the namesake sandwich—sans the Wonder Bread. 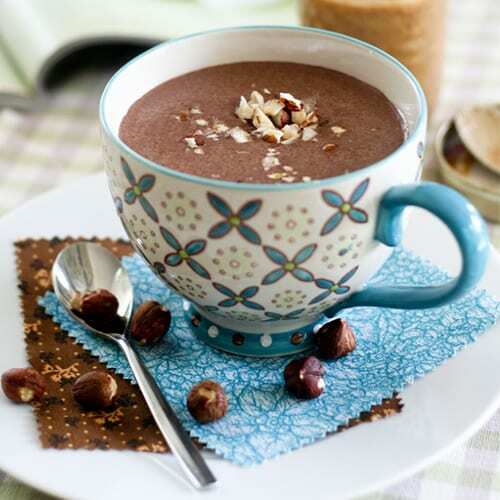 Enjoy a breakfast of greek yogurt, hazelnuts, bananas and coffee—all in one cup! 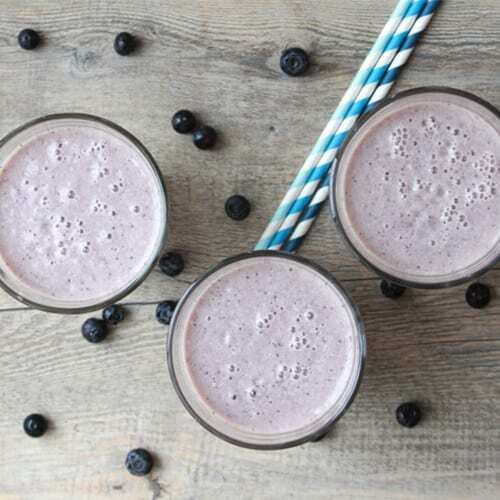 While this java-based smoothie gives you that much needed morning energy boost, the hemp seeds provide a healthy dose of protein, omega-3 fatty acids, fiber, antioxidants and minerals. We’ll cheers to that!